82nd Academy Awards – 2010 Oscars Live Results! 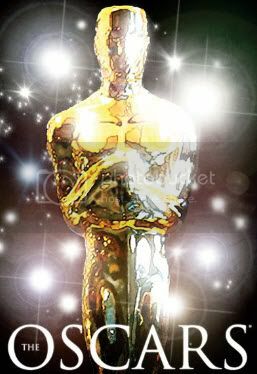 The 82nd Academy Awards is currently happening at Hollywood's Kodak Theater. Check out our updates and leave your thoughts and commentary in the comments below. The Oscars is currently aired in the Philippines via sattelite on Velvet and slightly delayed on ABS-CBN. * All the Lead Actors and Lead Actresses nominees were introduced on stage. Interesting. * Neil Patrick Harris opened the show with a musical number. * Hosts Alec Baldwin and Steve Martin were lowered from the rafters. * Miley Cyrus and Amanda Seyfried presented the Best Original Song award. * Cameon Diaz and Steve Carell introduced a clip showing the main characters of the Best Animated Feature nominees. * Robert Downey Jr. and Tina Fey presented the Best Original Screenplay award. * Other presenters include Sarah Jessica Parker, Chris Pine, Robin Williams, Kristen Stewart, Zac Efron, Taylor Lautner, Keanu Reeves, Sandra Bullock, Kathy Bates and Sigourney Weaver. * Sandra Bullock won Worst Actress and Best Actress in a span of 2 days! * It’s the first time in Oscars history that a woman won Best Director! She’s none other than James Cameron’s ex-wife, Kathryn Bigelow, director of The Hurt Locker. * Last year, we told you that “The Hurt Locker” is a strong Oscar contender. Now, it bested Avatar for Best Picture. Refresh from time to time for the latest updates. ‘Amelia’ – Oscar 2010 Frontrunner?